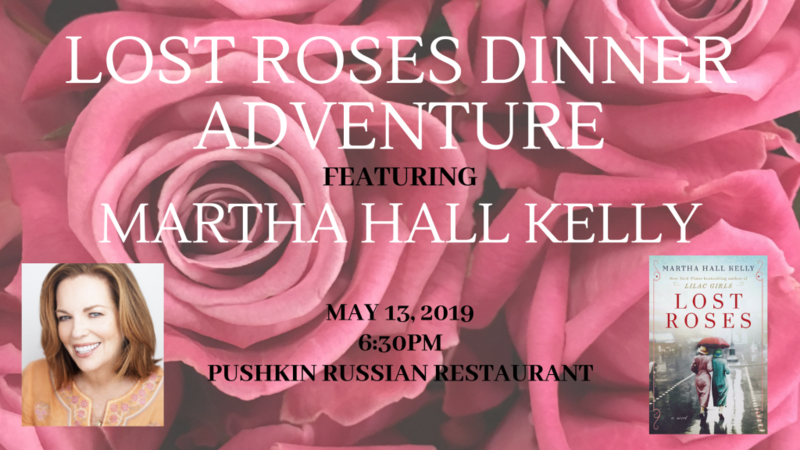 Here at Adventures by the Book, you know we like to do book events a little differently, so why not a breakfast event at dinner, for a book club gathering before you read the book, and inviting readers whether or not they are in a book club! 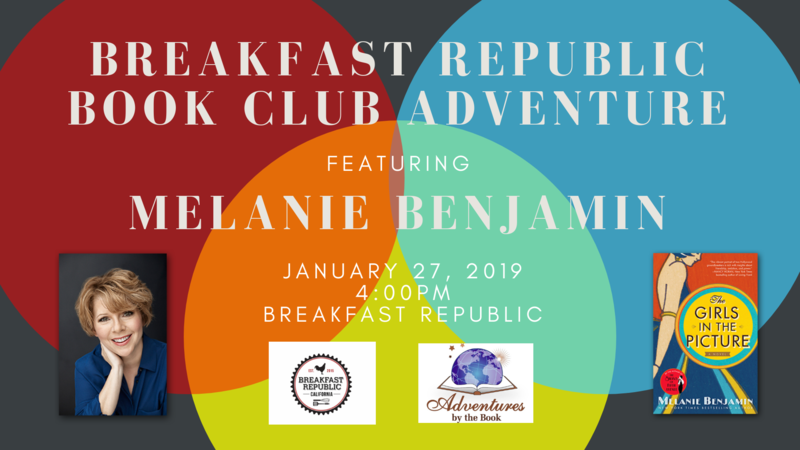 In partnership with one of San Diego’s top breakfast spots, Breakfast Republic, we are excited to introduce our inaugural Breakfast Republic Book Club Adventure, featuring New York Times bestselling author Melanie Benjamin. Whether or not you’ve already read The Girls in the Picture, you can be sure we’ll have a fun and engaging discussion with Melanie for her fascinating novel about the friendship and creative partnership between two of Hollywood’s earliest female legends— screenwriter Frances Marion and superstar Mary Pickford. 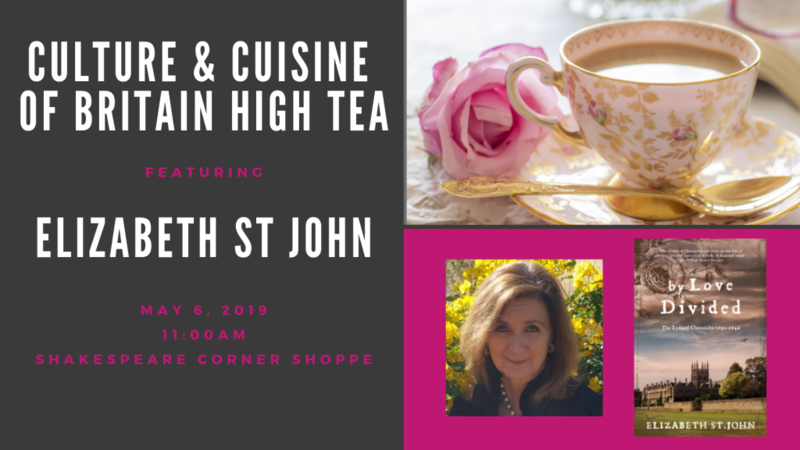 Your registration includes a signed copy of Girls in the Picture, and admission to this private event where you will have the opportunity to meet Melanie in a fun and intimate setting to discuss her book. And courtesy of our new friends at Breakfast Republic, you can enjoy a Melanie Benjamin-themed breakfast for dinner menu designed and specially priced for Adventures by the Book, for only $10. Perhaps you may choose to enjoy Mistress at the Ritz Shrimp and Grits, Girls in the Picture Pineapple Upside Down Pancakes, Swans of Fifth Avenue Chilaquiles, or even an Aviator’s Wife Breakfast Burrito. 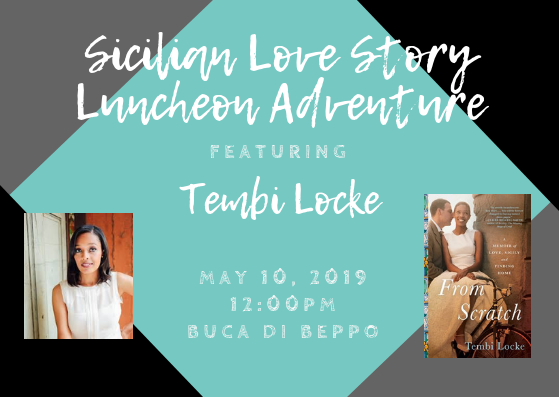 This Adventure includes admission to the event, a signed copy of The Girls in the Picture, author presentation, book signing, and the chance to meet the author up-close and personal in an intimate setting. Guests will have the opportunity to buy dinner at the venue from a pre-selected menu for only $10. Melanie Benjamin is the author of the New York Times and USA Today bestselling historical novels The Swans of Fifth Avenue, about Truman Capote and his society swans, and The Aviator’s Wife, a novel about Anne Morrow Lindbergh. Her latest historical novel, The Girls in the Picture, is about the friendship and creative partnership between two of Hollywood’s earliest female legends—screenwriter Frances Marion and superstar Mary Pickford. Melanie is a native of the Midwest, having grown up in Indianapolis, Indiana, where she pursued her first love, theater. After raising her two sons, Melanie, a life-long reader (including being the proud winner, two years in a row, of her hometown library’s summer reading program! ), decided to pursue a writing career. After writing her own parenting column for a local magazine, and winning a short story contest, Melanie published two contemporary novels under her real name, Melanie Hauser, before turning to historical fiction. Melanie lives in Chicago with her husband, and near her two grown sons. In addition to writing, she puts her theatrical training to good use by being a member of the Authors Unbound speakers bureau. When she isn’t writing or speaking, she’s reading. And always looking for new stories to tell.